Randwick Community Nursery is one of Sydney's leading nurseries for indigenous plants, propagating and selling local provenance plants, and other native and exotic species that are suited to the soils and climate of the Eastern Suburbs. The nursery has been established for more than 50 years and is open to the public. Some of the local plants sold by the nursery have been used by Aboriginal Australians as food and medicine for thousands of years. Please check our April 2019 stock list PDF, 482.46 KB to see the full range of plants currently available. We can also contract grow indigenous and other native species for bulk orders. We aim to assist in creating a functional, sustainable and attractive environment by providing a diverse range of quality plants, suitable to the local conditions and delivered with friendly and knowledgeable service. Our regular opening hours are 9am to 3pm Monday to Friday. Over Easter, the nursery will be closed on Friday 19 April and Monday 22 April. We will be closed for Anzac Day on Thursday 25 April. Our next Saturday open day will be the Winter Sale Day on Saturday 1 June 2019. The nursery will be open from 9am to 4pm. There will be native and indigenous plants on sale, as well as a range of exotic species. Nursery staff will be on hand to answer questions, help with plant selection and provide advice on weed and pest identification. The nursery promotes the use of indigenous plant species throughout the Eastern Suburbs. 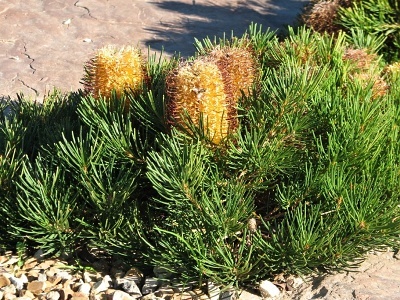 Indigenous plant species are those plants found within the Randwick local government area and throughout the Eastern Suburbs before European settlement. The term ''local provenance'' is applied to these species. Planting indigenous plants in council's parks, reserves and private gardens provides habitat for native bird and insect species and assists in the conservation of our local flora and fauna. The plants have a higher survival rate as they have evolved to cope with local soil and climatic conditions. Indigenous plants are identified in the nursery by a blue tag. Council's community nursery also grows a range of native plants from throughout Australia and a selection of hardy exotic species. Native, non-indigenous species are identified by a yellow tag and exotic species are identified by an orange tag. These plant species have been selected because they are attractive and tolerate the local conditions. Learn what’s involved, download the latest bushland newsletter.